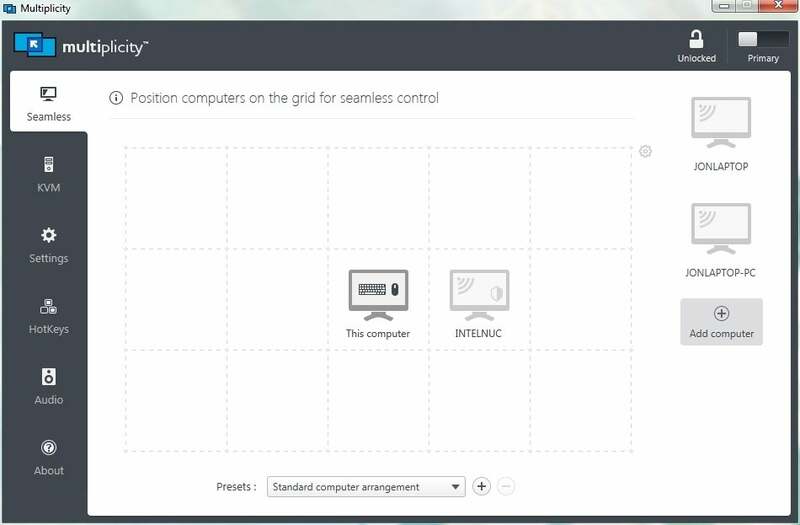 You can add a secondary PC to the list of controllable computers in the Primary computers list by name or IP address. When you define a secondary PC, you'll need the provided password to add it to the list of controllable computers on the primary PC. The matrix is where you configure seamless control over PC's with their own display. It's like a multi-monitor setup, but with multiple PCs. A unique utility that can replace physical KVM switches and automatically switch input to multiple PCs using a multi-monitor matrix.